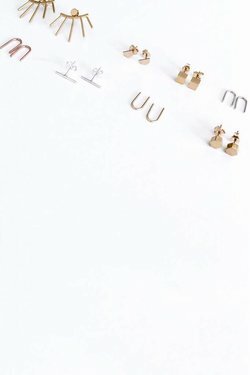 Tiny U Earrings - Wildland Supply Co. 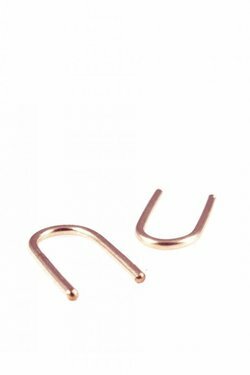 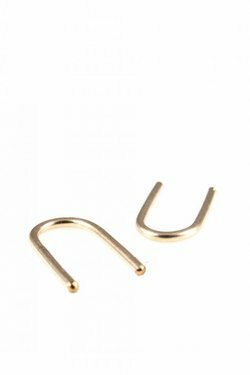 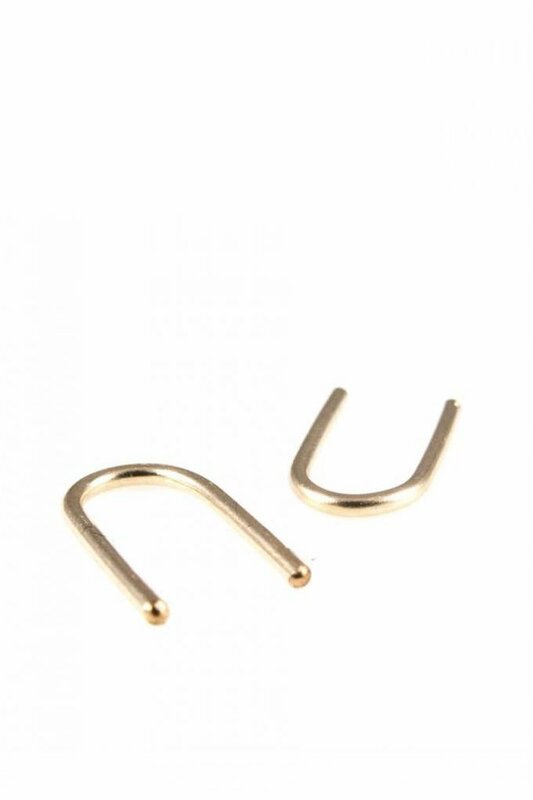 Tiny U-shaped earrings composed of a single hand-formed wire that threads through and hangs on both sides of the earlobe. 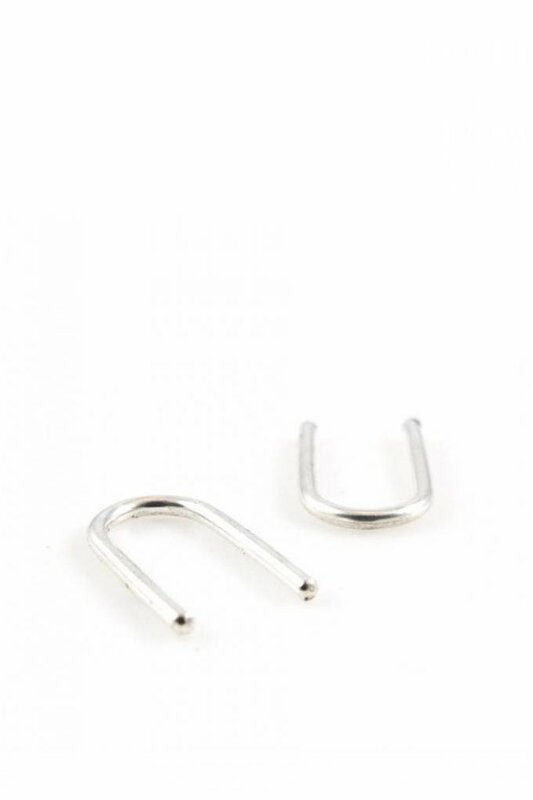 Wear vertical or horizontal. It's a more interesting staple-style stud.